Take a look at the different design cues on the Luxury and Sport trim levels on the Mercedes C-Class, and then build the car you want. For those who have a want a value-oriented car that projects the right image, the 2014 Mercedes-Benz C-Class makes a lot of sense. The 2014 Mercedes C-Class once was the entry-level model in the German automaker's lineup. All that's changed for 2014, with the arrival of the compact CLA-Class sedan. Now in its final year on the market before its own revamp scheduled for the 2015 model year, the C-Class is offered in a huge range of flavors, from V-8-powered performance sedan and coupe to relatively affordable turbocharged four-cylinder. And still today, after a mild refresh in 2012, the C-Class still feels modern, complete with all the current connectivity and safety technologies. The C-Class remains essentially the same car that debuted in 2008, but it has since receive a series of engine upgrades and a mild interior and exterior refresh. It can still be purchased in Luxury or Sport guise, with the Sport trim most noticeable for its dinner-plate-sized Mercedes emblem mounted in the center of the grille. The C-Class is offered in both sedan and coupe models in the U.S., and the coupe wears a more aggressive roofline than the four-door model. Both styles have modern, sporty interior–while not as luxurious as the S-Class, the Mercedes C-Class makes for a solid competitor for the Audi A4 and BMW 3-Series. The C Class models provide the utmost comfort for front occupants, but those in back, even if they can get in, will be left wedging their legs against the back of the front seats whether you're looking at the sedan or coupe. 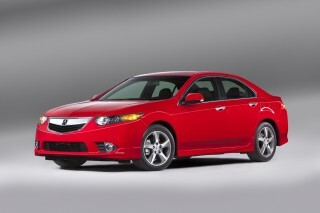 In all fairness, when looking at rival models like the Audi A4 or BMW 3-Series, that's just how it is in this class. You do tend to hear the engine a bit, but road noise is hushed much better in the Mercedes C-Class models than in other small sport sedans. Mercedes-Benz continues to sell the C-Class in two main trim lines, Luxury and Sport, which get a number of details that can give them a dramatically different look. If you're unsure between these two lines, choose first by appearance, as within the basic feature set of each you can otherwise pick and choose options to build whatever you want. Standard equipment even on the base C250 includes dual-zone automatic climate control; Bluetooth hands-free calling; Bluetooth audio streaming; cruise control, a HomeLink universal garage-door opener; and a power tilt/sliding sunroof. The C-Class also comes with the next-generation mbrace2 telematics and concierge system, which now includes a mobile app for remote horn and light operation and Valet Protect functionality, as well as Speed Alert, Driving Journal, and Curfew Minder services. There are also apps for Google Local Search, Facebook, and Yelp, among others. With the base C 250 models you get a turbocharged, direct-injected 1.8-liter four-cylinder engine, rated at 201 horsepower and 229 pound-feet of torque. This engine is fuel-efficient and fun, and it actually feels quicker than the previous V-6 C 300 (its official 7.1 seconds to 60 mph is the same). The C 250 is available only in rear-wheel drive, with a seven-speed automatic transmission changing gears. In the middle, the all-wheel-drive C 300 models get their motivation from a new 248-hp, 3.5-liter V-6 and are again offered with a seven-speed automatic. 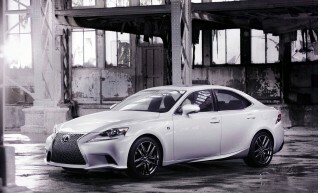 A 302-hp version of this same smooth 3.5-liter engine, making 273 pound-feet of torque is installed in C 350 models. At 5.9 seconds to 60 mph, they're quick, but not shockingly so. Like its stablemates, the rear-drive C 350 is available only with a seven-speed automatic transmission. Up at the top of the lineup stands the C 63 AMG Coupe, which can get to 60 mph in a very brisk 4.4 seconds thanks to a 451-horsepower, 443-pound-foot 6.2-liter V-8 engine. It's not all about straight-line performance, however, with a highly tuned suspension that raises the C 63's performance to something on par with the class benchmark, the BMW M3. New for 2014 is the C63 AMG "507 Edition," which boosts the car's output to 507 horsepower and 450 pound-feet of torque, and includes additional high-gloss black trim pieces outside, with Alcantara trim inside. The C-Class wears a suit full of flair, but the interior's a more sedate environment. The 2014 Mercedes-Benz C-Class covers the gap between nearly-entry-level luxury (the 2014 CLA is now the most affordable Benz), all the way out to compact high performance sedans and coupes. Both models share the same striking front end, mixing soft curves with hard-edged angles and LED running lights. Inside, it's a blend of luxury trimmings and sporty lines, with vehicles skewing in one direction or another, depending on which trim you choose. The Coupe draws on its four-door sibling's cues to deliver a car that's unmistakably a Mercedes-Benz, but at the same time, it's a bit sportier and sexier than the sedan in its proportions. With 2012's refresh, the C Class got a more prominent grille to match other new Mercedes models, but the overall design has been carried forward, with a smooth, gently arcing roofline paired with smooth side sheetmetal and crisp front and rear details. Sculpted strakes in the hood, and especially along the side, add expressiveness and more 'action' to the design. There's more race-inspired detail in the Coupe, too. 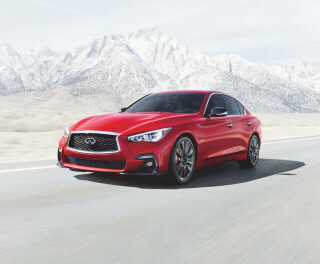 While sedans edge toward the luxurious end in most of their guises, Coupes get revised trim and a different steering wheel, with refined materials and premium finishes at the forefront in either model--though buyers can configure a very sporty-looking sedan as well. At the zenith of the C Class range, the C 63 AMG Coupe is much more aggressive and dramatic inside and out, with wider fender arches, AMG badges and unique interior elements. And if the raspy sounds of the 6.2-liter V-8 engine weren't enough, twin chrome tailpipes signal this model from the rear. Choose your C-Class in Sport trim and it shows signs of handling life; it's a full-bore sports sedan as a C63 AMG. While you might normally associate Mercedes-Benz only with lavish comfort, the 2014 C-Class sedans and coupes deliver more satisfying performance and nimbler handling than you might expect. 2012 was a year for the car, and it brought a new lineup of V-6 engines and a entry-level turbocharged four-cylinder with it. Up at the top of the lineup stands the C 63 AMG Coupe, which can get to 60 mph in a very brisk 4.4 seconds thanks to a 451-horsepower, 443-pound-foot 6.2-liter V-8 engine. It's not all about straight-line performance, however, with a highly tuned suspension that raises the C 63's performance to something on par with the class benchmark, the BMW M3. The C 350 gets a 302-hp version of this same smooth 3.5-liter engine, making 273 pound-feet of torque. 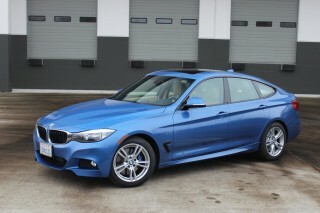 At 5.9 seconds to 60 mph, it's quick, but not shockingly so. Like its stablemates, the rear-drive C 350 is available only with a seven-speed automatic transmission. In the middle, the all-wheel-drive C 300 models get their motivation from a V-6 and are again offered with a seven-speed automatic. For 2013 they drop the previous engine in favor of a 248-hp version of Mercedes' new-generation 3.5-liter 60-degree V-6, which has direct injection. With the base C 250 models you get a turbo-charged, direct-injected 1.8-liter four-cylinder engine, rated at 201 horsepower and 229 pound-feet of torque. This engine is fuel-efficient and fun, and it actually feels quicker than the previous V-6 C 300 (its official 7.1 seconds to 60 mph is the same). The C250 is available only in rear-wheel drive, with a seven-speed automatic transmission changing gears. As for the rest of the C Class models, expect the driving feel to be quite engaging, yet with the straight-line stability and refinement that distinguish most of the models in the M-B lineup. The C250, in particular, punches above its weight in this regard thanks to a lighter, more nimble feeling. C350 models feel like fast, no-compromise touring sedans or grand-touring coupes. Despite their performance, only the C63 AMG gives up comfort in its quest to tame the twistier bits of tarmac. The C-Class has a substantial feel, but its back seat is still on the skimpy side. The 2014 Mercedes-Benz C-Class continues on for another year with a better-built and higher-quality interior than most other sports sedans on the market today. 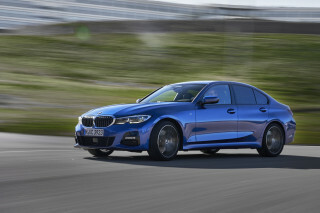 And with that, it's one of the best long-distance touring car choices in the segment. Interior appointments are fully to snuff for the American market, with an array of cupholders, cubbies, and door pockets, plus a roomy console and large glove box. And while we haven't put C Class interior materials in the top tier in the past, the current version impresses with mostly luxury-grade plastics; nice leather; and wood, metal, and other special trims. 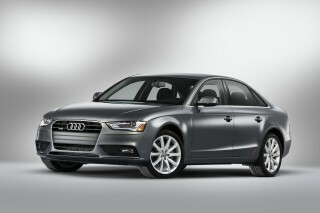 Throughout most of the lineup, the cabin has a quiet, refined feel that's above and beyond most models in this class. Road thrum over coarse surfaces--a weak point for many sportier small sedans--is really minimal here. You'll have no problem getting comfortable in the C Class's front seats; they're among the best in this class, with enough support and comfort for both long hauls or somewhat spirited driving. The driving position is at a good height, and highly adjustable for different body types, thanks to a tilt/telescoping steering wheel, power seat adjustments, and the tall, glassy cabin easing visibility. Just don't plan on having adults ride in back, even across town, until you check out the space back there. With legroom at a premium, if you plan to scoot the front seats near the back of their travel, there's almost no rear legroom left. Trunk space is on the smaller end, at 12.4 cubic feet in sedans and 11.7 cubic feet in the coupes, but it feels about right given the size of the rest of the vehicle. You'll have no problem fitting a couple of airline carry-ons back there. Opting for the C63 AMG will provide seats with just as much comfort, but much more aggressive bolsters that fit more snugly. Active-safety features are the newest options on the C-Class, which earns solid crash-test ratings. The 2014 Mercedes-Benz C-Class models are some of the safest, most secure vehicles available in the segment, with excellent crash-test ratings and even more active safety technologies. We commend Mercedes for including so much tech in their mass-market, most affordable vehicles, too. The roster of safety features is solid: 13-way airbag protection via 11 airbags; active head restraints; adaptive brakes; stability and traction control; rain-sensing wipers; and even Attention Assist, which monitors the driver for alertness. Optional safety extras include blind spot monitoring, rearview camera, parking guidance, adaptive high-beam headlights, and lane-keeping assist. The IIHS (Insurance Institute for Highway Safety) gives it top marks of "good" in all crash-test categories; the federal government gives the 2014 C-Class a top overall five-star rating, with a five stars for side impacts, and four stars for frontal and rollover collisions. Smartphone connectivity's a part of the Mercedes C-Class suite of features, but there's walnut trim, too. There are two trims available on the C-Class: Sport and Luxury, which each receive enough distinctive details to look different from each other on the road. You can have nearly every feature available on either model, so you won't miss much by choosing one over the other. A very long list of individual options are available, including (some of the highlights): heated front seats; a Harmon/Kardon Logic7 sound system; iPod/MP3 interface; voice control; and COMAND hard-drive-based navigation/infotainment system. A range of packages are also available, combining some of the most common options into popular configurations. Appearance upgrades such as illuminated door sills, a roof spoiler, a painted sports grille, and upgraded wheels are all offered as standalone options. Standard equipment even on the base C250 includes dual-zone automatic climate control; Bluetooth hands-free calling; Bluetooth audio streaming; cruise control, a HomeLink universal garage-door opener; and a power tilt/sliding sunroof. There's also the next-generation mbrace2 telematics and concierge system, which now includes a mobile app for remote horn and light operation and Valet Protect functionality, as well as Speed Alert, Driving Journal, and Curfew Minder services. There are also apps for Google Local Search, Facebook, and Yelp, among others. C63 AMG models bring a host of performance upgrades, in addition to a long list of interior features including power steering adjustment, power heated AMG sport seats, Harman Kardon 12-speaker sound, a power rear sunshade, and special AMG instrumentation with a race timer. The C63 AMG is a confessed gasoholic, but four-cylinder C-Class sedans and coupes earn respectable EPA ratings. 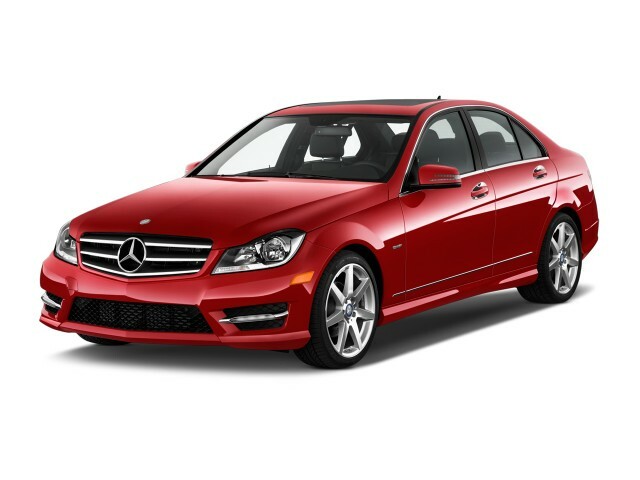 With the option of a four-cylinder in the lineup, fuel economy for the 2014 Mercedes-Benz C-Class can be quite good. However, if you're looking for the monstrous C63 AMG, it can be pretty bad, too. It's no surprise that the powerful C63 AMG, with its huge V-8, is something of a boat anchor for fuel economy--even though it's a rocket ship in performance. It scores an estimated 13/19 mpg for 15 mpg combined according to the EPA. 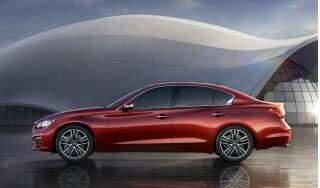 The C250 sedan scores 21 mpg city and 31 mpg highway for 25 mpg combined, according to the EPA. The C250 coupe matches the sedan's figures. The C300 4MATIC and C350 sedan are rated the same, at 20 mpg city and 29 mpg highway for 23 mpg combined. 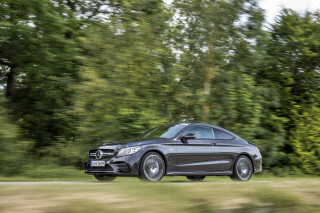 At 19/28 mpg, the C350 coupe scores slightly worse. Fastest auto in town but with all the comforts and reliability expected in a Mercedes-Benz. I feel very fortunate to have bought the latest C250 Mercedes-Benz which has gained so many awards in the last six months. The awards are well deserved. The car is not perfect - the economy is not, so far, as... I feel very fortunate to have bought the latest C250 Mercedes-Benz which has gained so many awards in the last six months. The awards are well deserved. The car is not perfect - the economy is not, so far, as good as claimed. My main criticism is that the ride is quite rough. I put this down to the low profile, 20 inch, run flat tyres - by the way there is no spare wheel at all which was almost a deal breaker. It prevents me driving the long isolated distances I would like to drive - for example Adelaide to Darwin, or even Alice Springs - or the Hay plain as examples. I do not like this limitation! However the plusses are many - the safety technology is superb as is the finish & obvious quality both inside and out. The four cylinder turbo engine is very powerful and can be relied upon to keep one out of trouble in certain traffic circumstances.